It gives me pleasure to write a few words by way of a Foreword. The writer of this work, B. V. Raman, is my eldest son’s eldest son, i.e., my grandson. I was on the look-out for a competent successor to the special line of researches, viz., astronomic astrology in which I have spent the major portion on my active life and have found my grandson, a competent youth to take up my work. He has made an intelligent study of mathematical and predictive astrology and has been able to compose some treatises on this important subject. The necessity of accurate mathematical knowledge is placed beyond a question; and no astrologer of any pretensions can ever hope to become a successful predictor, unless he is competent in his astronomical knowledge of correctly casting the horoscope and finding out the various sources of strength and weakness of the Planets and the Bhavas. This work, I am proud to say, has been done by my grandson, with considerable skill and ability. He has put his ideas in a flowing, convincing and easy style and the illustrations, he has given, will be found to be of immense use to the readers. I have been, during the last 60 years of my activities in the astrological line, dealing more or less with the judicial portion of astrology, and have not given as much attention as the subject of mathematical calculations demands. Probably fate ordained, that, while I have fully treated in my own inimitable style the predictive portions, the mathematical portions should be reserved to be elaborated by my own grandson, adding a feather to the line of my succession. 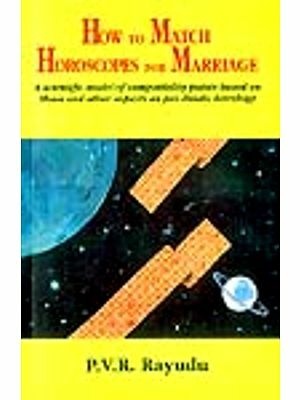 As this book deals with the essential aspects •of Mathematical Astrology necessary for correct computation of horoscopes according to the Hindu system, the selection of the name as “A Manual of Hindu Astrology” is quite appropriate. There has been a very great demand for such a book and I am proud to say that my grandson B. V. Raman has supplied the want with credit to himself. 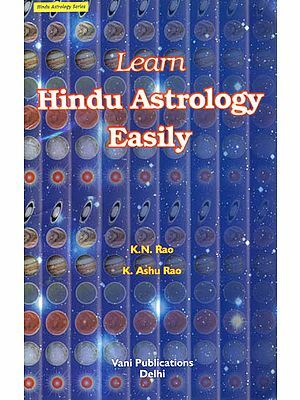 This book is written with a view to help all those, who are attempting to grasp the fundamental principles of Hindu astronomic-astrology. To write a book on the mathematical portion requires patience, diligence and devotion, all of which my grandson has displayed in a commendable manner. I pray God earnestly that he may live to a long age, as God has been pleased to give me longevity, and do as much service to the public as possible. I bless him with all my heart and pray God to make him successful and prosperous. Last year I wrote a comprehensive book entitled Hindu Predictive Aster logy, the major portion of which has been devoted to the exposition of the predictive branch of the science. But later on, I realized the need for a book devoted to the mathematical side of the subject too, by the constant pressure brought to bear upon me by students of astrology. In casting horoscopes according to approved rules of Hindu Astrology, nothing but a series of mathematical calculations is. Involved; and hence the present manual is devoted to the exposition of the important and essential principles of Hindu Mathematical Astrology. The mathematical portions dealt with in these pages are very necessary for a student of astrology who wishes to become a successful predictor of future events. 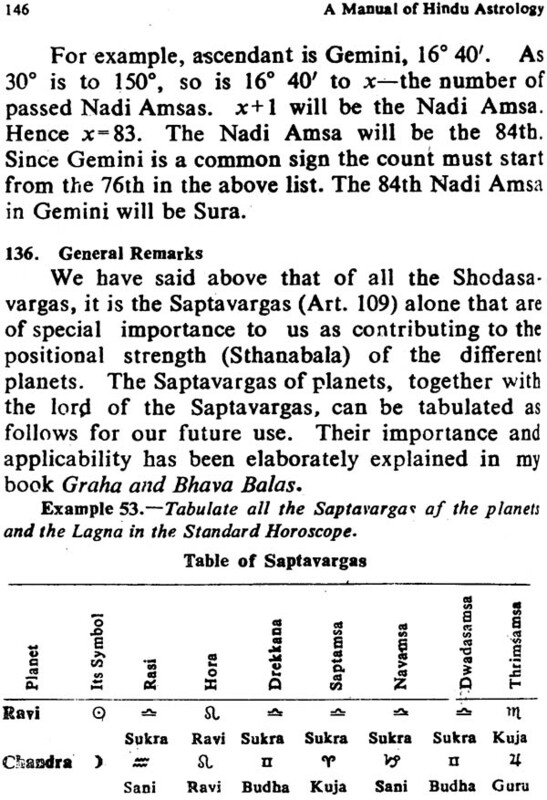 Graha and Bhava Balas which deals with the method of determination of strengths of planets and houses forms a companion volume to this and a study of both these books will simplify the whole range of astrological mathematics of the Hindus and will enable the student to prepare a suitable ground for venturing predictions. It is hoped the present work will supply a long-felt want. All unnecessary and superfluous information constantly employed by writers on Mathematical Astrology, which are not only cumbersome but also unimportant from the point of view of correct predictions, has been omitted. Ignorance of even the elementary principles of Mathematical Astrology is sure to lead one to the obvious conceptions of the fundamental postulates of the judicial system and, at the same time, too much indulgence in mathematics alone is equally harmful as completely atrophying one’s judgments faculty and power of induction. Hence to cast and read a horoscope, a moderate knowledge of Mathematical Astrology would be simply invaluable. 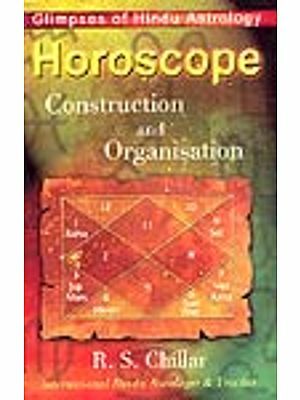 This book deals with such aspects as the determination of the longitudes of planets, house-cusps, sunrise and sunset and other information essential for constructing a horoscope. 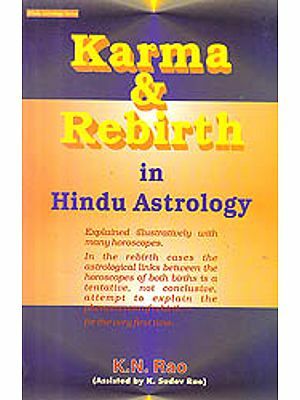 A separate chapter, exclusively devoted to describing the method of casting the horoscope, etc., according to the Western system and its reduction to the’ Hindu, has been included and this is sure to enhance the value of the book by making it accessible to the Eastern and Western students alike. The book may have its own defects, and any suggestions for its improvement will be gratefully appreciated. Original books on Varshaphal (Annual Reading of Horoscopes) based on Tajaka, Kalahari Dasas, etc., are in the course of preparation and they will be released for publication in due course, for the benefit of the astrological public. I am specially indebted to my grandfather Prof. B. Suryanarain Rao, to whom this work is dedicated for his valuable instructions to me in Astrology. I have relied to some extent on the English translation of Sripathi Paddhati by Mr. V. S. Subrahmanya Sastri for information on Dasamabhava Sphuta and my thanks are due to him. I feel certain that my handle endeavors in expounding Astrology will be appreciated by all well-wishers of knowledge and understanding. I am happy to place before my readers the sixteenth edition of A MANUAL OF HINDU ASTROLOGY. 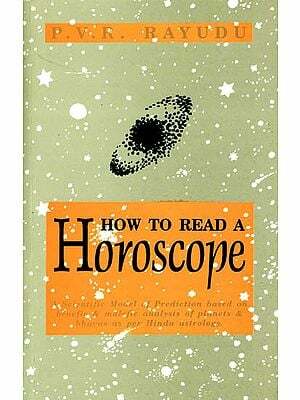 In this book the reader is provided with all the information needed to construct a horoscope accurately. The Table of Standard Times has been further revised and updated. I am asked to write a few words by way of introduction, which I do with extreme pleasure, even in the face of poor health. The present volume is devoted to the astronomical basis of Hindu Astrology, not without occasional sidelights on the theory of Western Astrology, but the manner in which the relevant findings are marshaled, and the methods expounded will not fail to hold the attention of the reader. To the beginner with the merest acquaintance with the astronomical preliminaries, the presentation is bound to make a fascinating appeal, but to the trained student, the book, as a whole, cannot but serve the purpose of a stimulating repertory of the leading facts or concepts of astrological mathematics. The Author, Prof. B. V. Raman, has already made his mark in the astrological world, and bids fair to hold his own in the future, as a first-!ate expounder of Hindu Astrology. He is none other than the grandson of Prof. B. Suryanarain Rao, the ‘eneraoledoyen of Indian Astrologers of repute, whose personal teaching and example have gone not a little to make of the grandson what he is. This book is intended to be the first of a series, planned to embrace the several departments of astrology, one after another, and I sincerely bid him God-speed in the successful materialization of his plans. The mathematical basis of astrology is so precise and exact that even its greatest enemies cannot but be convinced of its scientific nature. The noble art of prediction assumes a fair amount or knowledge in the mathematical part of astrology. It cannot be denied that such ability imposes a great strain on the limited mental acumen of the average astrologer, that his pretensions to make correct predictions are really baseless. 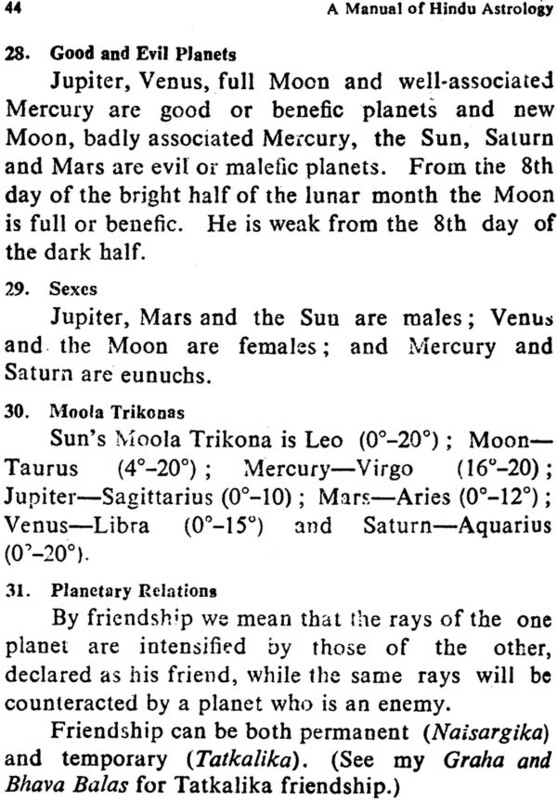 It would be better to draw a distinction between mathematical astrology and astronomy. 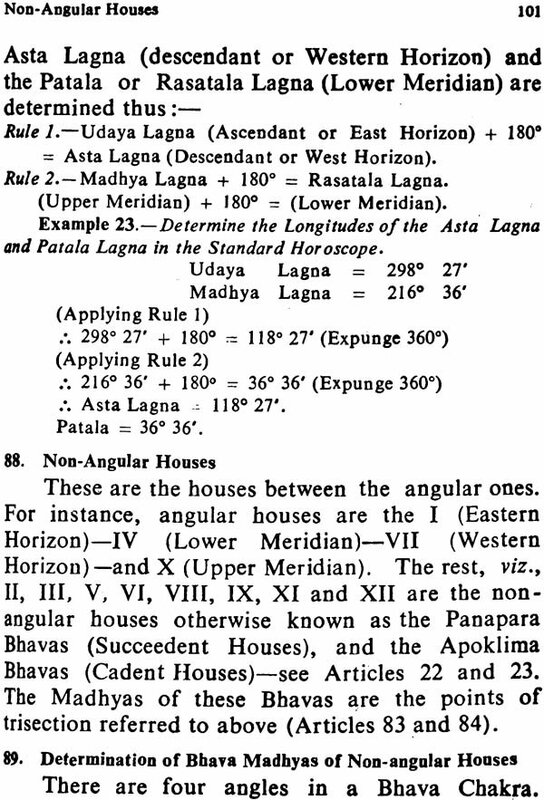 By the former, we mean, the relation of mathematics to astrology in so far as it is concerned with the correct determination of the longitudes of the planets on the basis of reliable ephemeredes or almanacs, cusps of the various houses, the different kinds of l3alas or sources of strength and weakness of each planet and house, and such other details which are ascertainable with the aid of mathematics so that a sound basis for making correct predictions may be obtaiaecl In other words, mathematical astrology deals with nothing but correct casting of horoscopes. 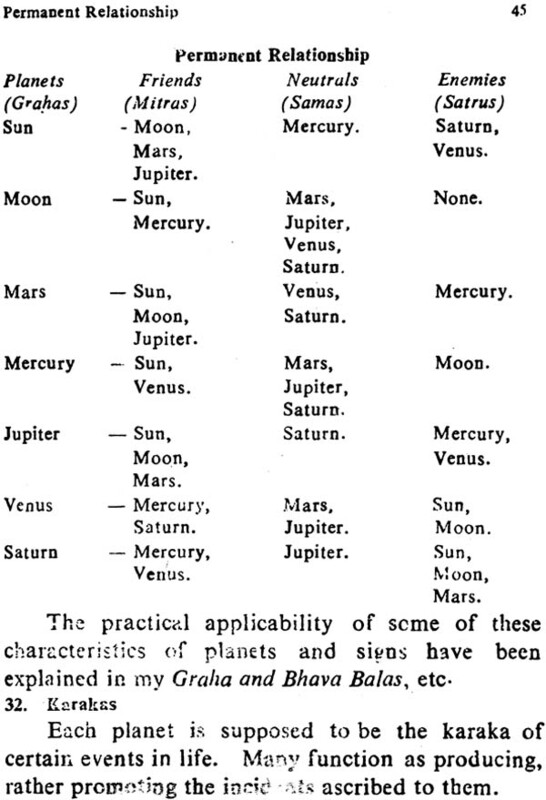 And we classify the methods of computing the longitudes of planets independently, determining the periods of eclipses and such other details as the measurement of the dimensions of the various celestial bodies and their internal and external peculiarities, etc., under astronomy. The ancient Hindus always regarded astrology and astronomy as synonymous so that a bad astronomer was also considered a bad astrologer. In fact the qualifications lay down by great and illustrious writers like Varahamihira and Bhaskaracharya are so rigorous, that we fear that none of us today would be deemed to be called an astrologer at all. 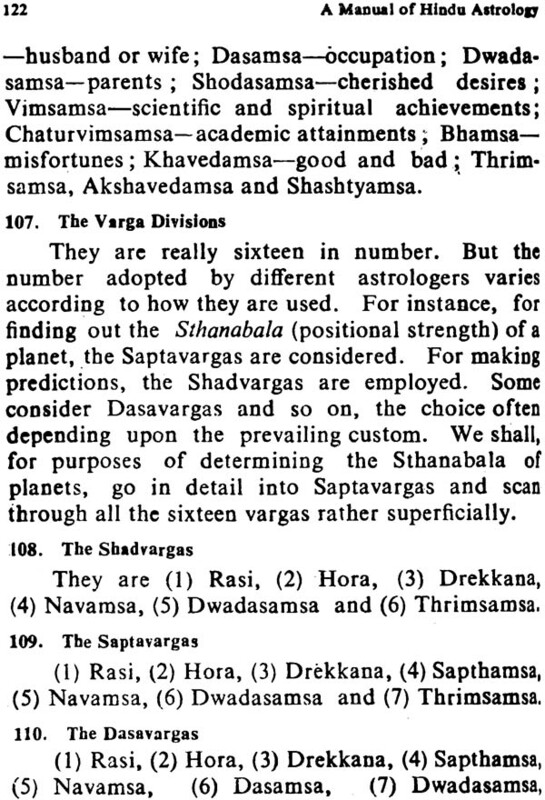 Bhaskara stresses on the need for a clear I knowledge of spherical astronomy for one, who Wishes to be an astrologer and a comprehension of the doctrine of spherical projection and allied theories for I locating the true position of planets, etc. But, for our purpose, we shall maintain this distinction, we have called attention to above, in regard to mathematical astrology and astronomy and deem that a fair acquaintance with the principles of mathematical astrology is absolutely essential for successful predictions. A noteworthy sign of this century seems to be a general awakening in the minds of the educated classes to institute a scientific inquiry into ancient subjects like astrology and astronomy. It is, however, deplorable to note that, in their over-enthusiasm to benefit the cause of the science, many of the English educated Indians of today have been adopting an undesirable attitude towards Hindu astronomical calculations in rejecting them altogether as incorrect or inconsistent and replacing them entirely by modern ones, as being quite accurate and precise. The arguments advanced by them, in favour of such a theory, are generally unsound and cannot stand the test of actual demonstration. Are we to reject the Hindu astronomical calculations formulated and adopted by such celebrated exponents of the celestial science as Varahamihira, Bhaskara, Sripathi and others, because they seem to clash with modern ones, while accepting the ancient astrological principles? A Varahamihira or a Kalidasa who has bequeathed to us such masterpieces as Brihat Jataka and Tiaras Kalamritha could not have been so ignorant or indifferent as to give room for such fallacies, inconsistencies and errors which we are trying to find out in their writings. would be the height of folly and absurdity to estimate their conclusions in matters of astronomy and astrology in the Might of our own developments or achievements in those branches of knowledge. Modern decisions and conclusions cannot be taken as criteria for judging the accuracy or otherwise of the ancient Hindu Astronomers. The extreme accuracy and precision which we lay claim are oftentimes questionable. It is true that no satisfactory agreement could be found between the writings of any two people even in ancient books. But what of it? Do all modern calculations tally with each other? Certainly not. Take for instance the measurement of terrestrial latitudes. Each reference book, an authority in its own way, differs decidedly from the other. Bangalore is located on 13°, 12°, 57’ and 12° 51” N. Lat. ; which of these is correct? Therefore it is useless to reject the ancient methods of calculations completely, because they seem to clash with ours and replace hems entirely by those of modern times. Most of the theories of today are simply tentative; they have not, as yet, been established. The statements of some of the astronomers are really ludicrous: quid excite sympathy in the hearts of sober men for such perverted views. Modern calculations alone cannot be accepted as correct or accurate (for astrological purpose) and the ancient ones rejected. Moreover the ancient Hindu astronomers dreaded secular interference in matters of astronomy for astrological purposes The ancient Maharishis were past masters of the first magnitude in almost all branches of knowledge. That they discovered many phenomena by mere observation alone cannot be vouchsafed. The plane of observation employed by them was certainly quite different from that of the modern scientists. The art of Yoga was peculiat to them. Not being satisfied with the nature of the phenomena revealed by glasses and other material objects, they dived deep into the unfathomable depths of Yoga by means of which they were able to see things n their reality, face to face, The first Sutra in the Grahanirnaya Prakarana of the Ehourika Sutras is “Darpanemirhya .Vadaha” meaning that objects at a distance, viewed through glasses, always present forms, which really do not represent their true state of nature. This clearly suggests, that’ to get at truth, so far as the celestial and distant objects are concerned, we must view them by something other than glasses, as there are many media between them and earth, whose refracting and dispersing powers, we do not know much about. Thus they had the gift of Yoga, the fragments of which we see even unto this day, which helped them to a great extent in their expeditions in unveiling the mysteries surrounding the phenomenon of the celestial bodies. There may be still other causes for the existence of differences between modern and ancient astronomical observations. 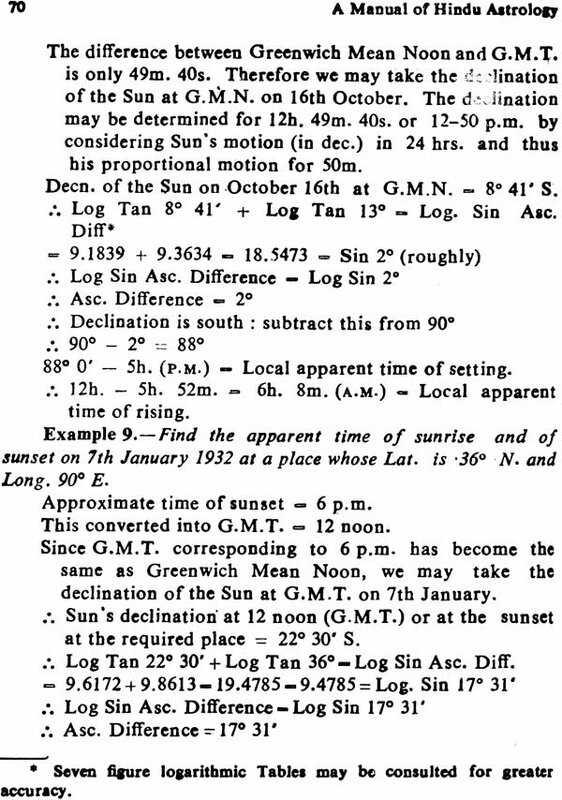 For instance the equation of the Sun’s centre according to the Indian tables is 2° 1O-’ whereas according to modern observations it is only 10 is the first figure wrong because it differs from the second? It cannot be ; for “the eccentricity of the solar orbit on which the equation just mentioned depends was greater in former ages than it is at the present time because of the consequence of natural disturbances of planets”. 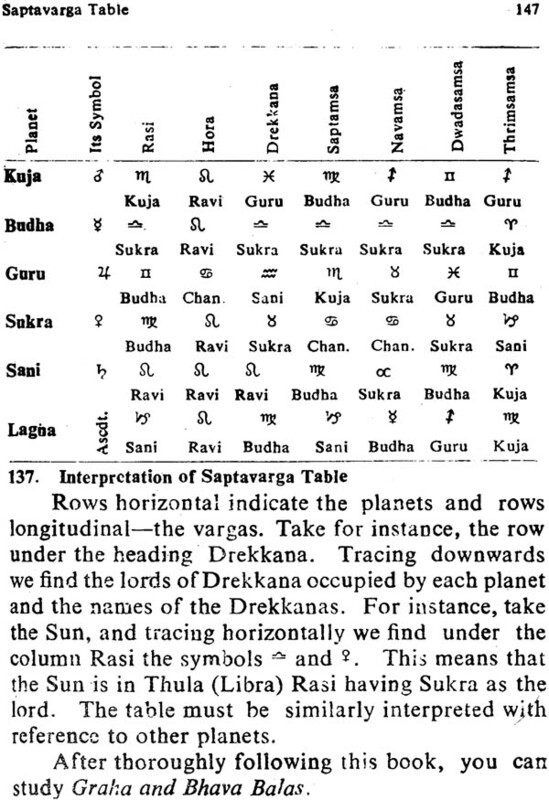 Hindu calculations require consideration of Hindu figures and tables and we have to consider Hindu methods alone in matters of Hindu Astronomy. Prof. Wilson observes that “the science of astronomy at present exhibits many proofs of accurate observation and deduction, highly creditable to the science of the Hindu Astronomers”. Take for instance eclipses. The Hindu methods yield as correct results as the modern methods. The sciences of Hindu Astronomy and Astrology have got into disrepute by the ignorance of some. 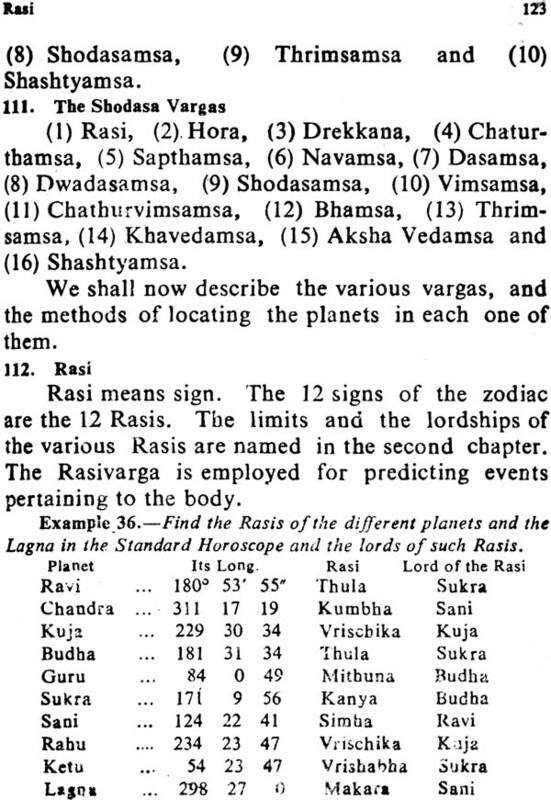 astrologers whose mercenary nature makes them impervious and indifferent to the grave responsibilities that lie on their beads ; such an attitude of these people is directly traceable to the lethargic mentality of many of our indolent Rajas and Maharajas who, while spending immense sums on useless and chimerical purposes, are completely deaf towards rehabilitating such useful sciences as astrology and astronomy. What is needed is not rejection but an observational rectification of the elements employed by ancient astronomers. The perfection of predictive astrology among the ancient Hindus was really marvelous, and today, we have lost that power. Even with sound mathematical basis, our predictions are generally vague and indefinite—except for a few, made by the real experts in this science. Is it because, our inductive faculty is marred by the extreme degree of precision we aim at, or are we on the wrong track? Are we not wasting much of our precious time by entering into profitless discussions and controversies as regards house division, ascribing ruler ship to the so-called newly discovered planets, finding the rationale of the ;significations of the different houses of the zodiac, etc. The greater portion of our time must be devoted to the practical study of astrology. This requires a moderate knowledge of astrological calculations. For instance, in determining Ayurdaya, Maraka Grahas (death inflicting planets) and the time of death, we should ascertain the relative sources of strength and weakness of the different planets. This requires a fair knowledge of Shadbalas. And with our present knowledge in the predictive art, we do not require to be so precise-as to find out “0.000067” of an arc. We had better maintain what can be termed “minute precision” and then adopt “second precision” after we have attained proficiency in the art of predictions consistent with our present precision in calculations. Bearing this in mind, if the reader goes through this volume, without any bias or prepossession, he will really find much useful information presented in quite an intelligible manner. Throughout the book, in the examples worked out, fractions less than half a Gbati or 30” or of arc have been rejected. If the reader is patient enough he can consider the minutest divisions and maintain the degree of accuracy he wants. 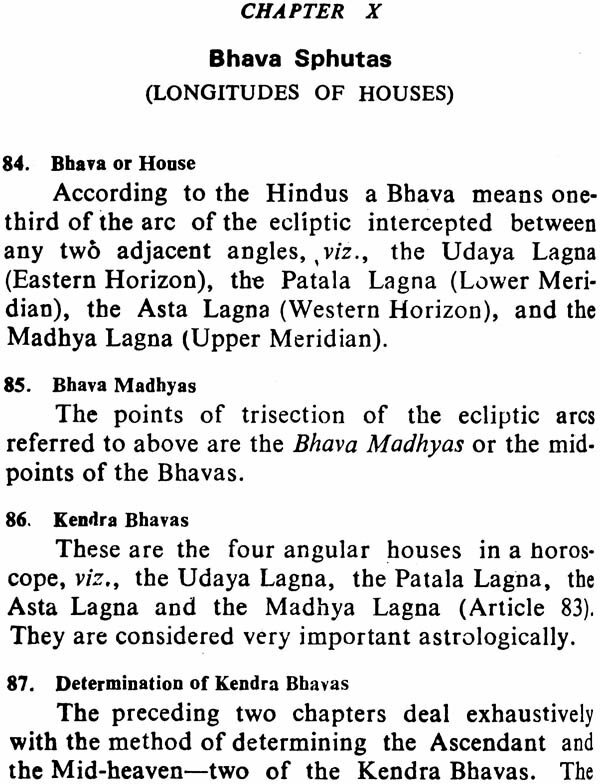 In the determination of Madhya Lagna (10th Bhava), the Hindus do not consider the Sidereal Time of Birth. 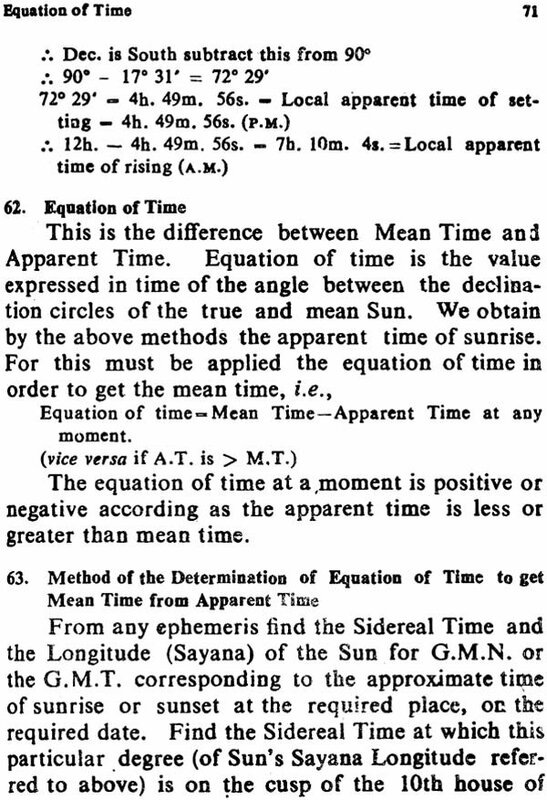 Instead, the Sun’s Sayana Longitude at the birth moment and the interval between meridian. distance are taken and the Dasama Bhava Longitude determined by considering the Sidereal Time of the ascension of the Rasimanas on the equator according to the prescribed rules. Besides, the Budgies and Bhuktha portion of a sign are found out by the application of the tile of three assuming that equal arcs ascend at equal times. These two are considered by some recent writers as fallacies or errors. But they are not fallacies at all astrologically because, perhaps the ancients thought, that it would not make much difference, whether the ascension of arc was calculated arithmetically or by more refined modern methods for astrological purposes. They had their own reasons, which remain inexplicable, to assume so many things, which look controvertible today. We have not the slightest justifiable ground to label them as incorrect and eulogies our own conclusions as eminently correct. We have lost the power of Yoga an we cannot see things face to face by physical aids. Hence we can neither deprecate the one nor appreciate the other. 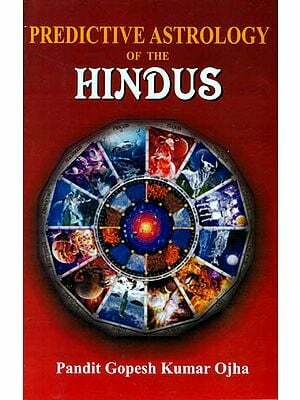 Each has its own faults and perfections and we must as far as possible adopt the Hindu method of calculations for applying Hindu astronomical principles.